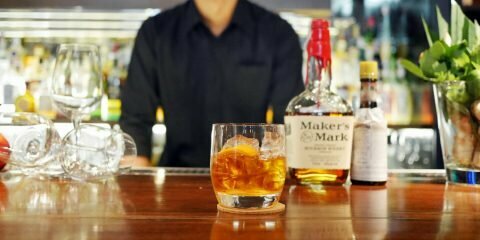 22 Steps Bar : Drink Like a PRO! 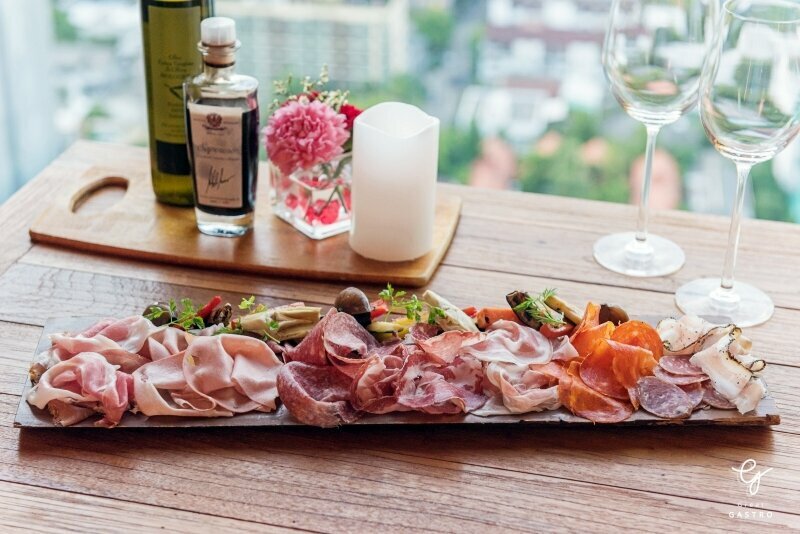 When it comes to rooftop Italian restaurants in Bangkok, Attico has surely earned a spot at the top of the list. 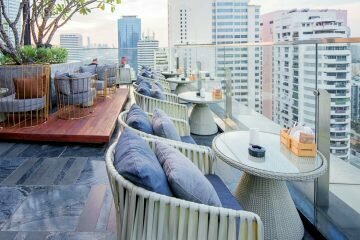 Situated on the 28 floor of Radisson Blu Plaza hotel, the area is outstanding in its best view over Bangkok. 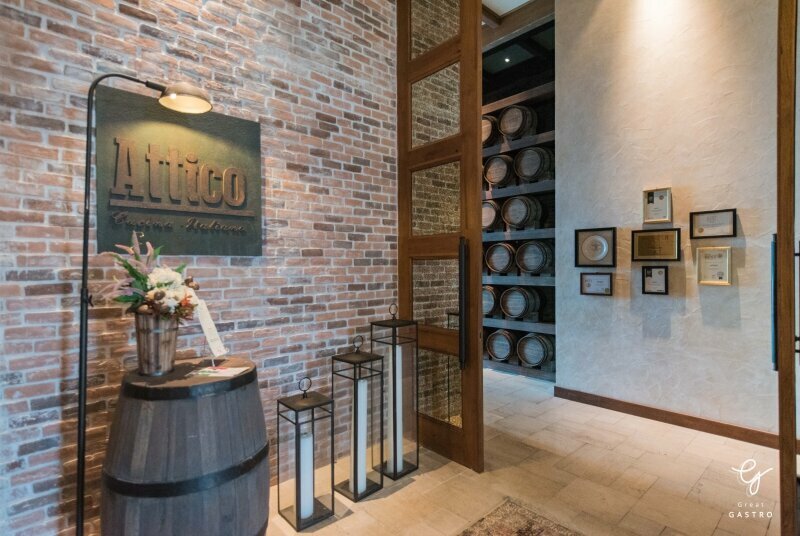 Despite the location, Attico is an authentic Tuscan kitchen served you a best homemade Tuscan-style menu, in which you can enjoy traditional dishes from Italy in a homey atmosphere. 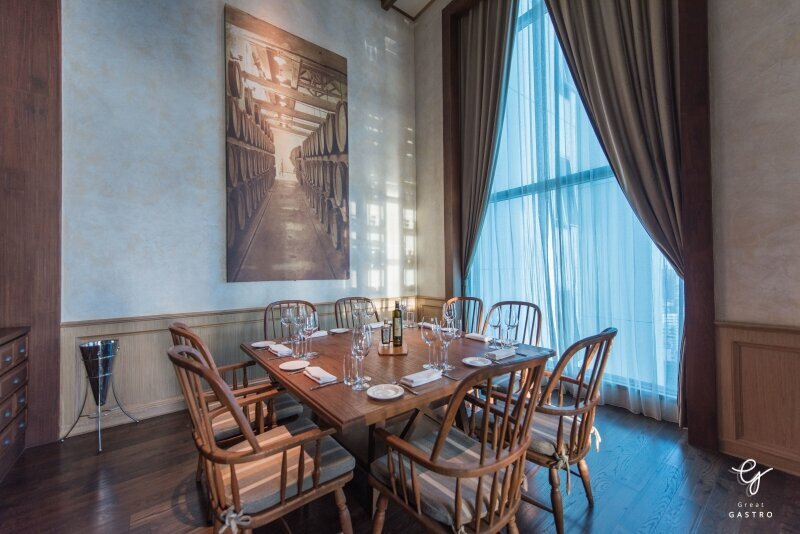 This Tuscan-inspired restaurant welcome guests with a maze of towering stacks of wine barrels, tall glass windows, and a rural-style open kitchen displayed cold cut, cheese, and pasta. 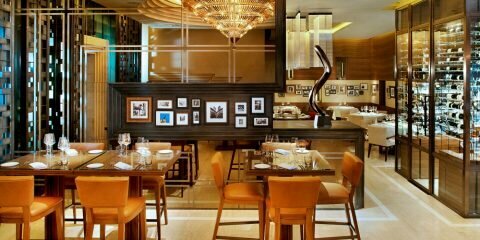 Heading by Chef Roberto Paretela, a young talented Italian chef with a great passion for his Italian homestyle cooking. 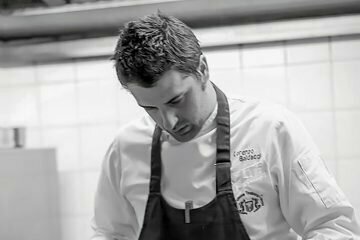 Born and rest in Torino in a northern part of Italy, but has a family background from the south, Roberto’s cooking style is something in a middle. 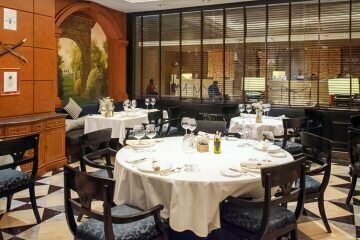 Chef’s menu features items created by a mixed of finest local Italian ingredients from different regions in which his cooking method is to preserve its original taste by using the least ingredient as much as possible. 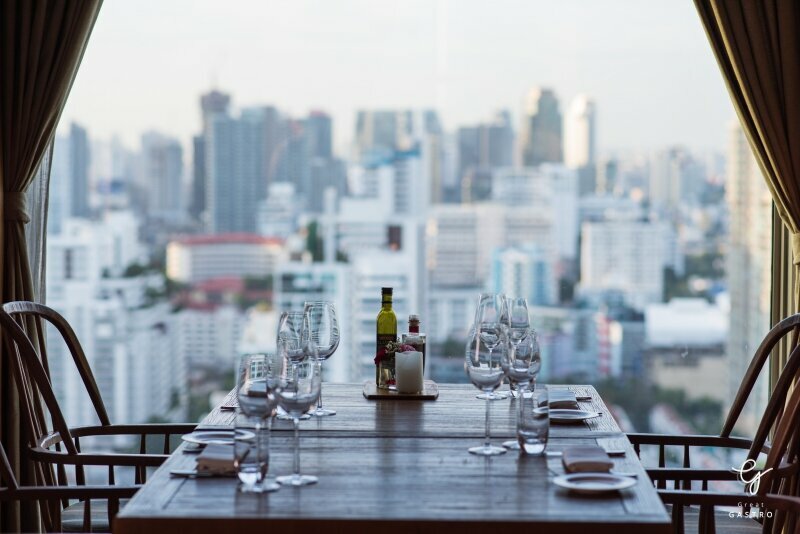 Here you’ll find simple local cooking at its best, remarkably quality in a reasonable price and the sort of authentic atmosphere that is increasingly rare in Bangkok. 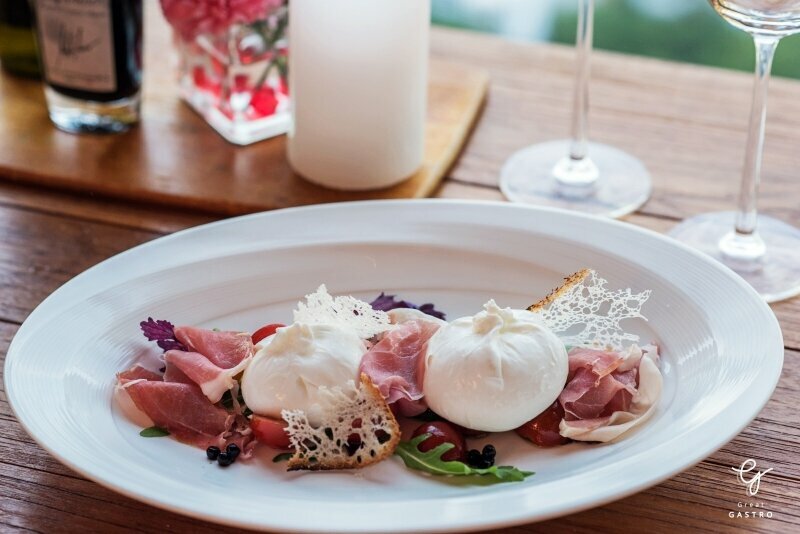 Start with a plate of Burrata served with salty Pama ham, sour marinated plum tomatoes and a fresh salad. The Burrata is fresh rich, buttery flavor without a sour taste. When the cheese is sliced open, a spurt of thickened cream flows out with its fresh milkiness. Perfect match to all fresh salad ingredients. If you come for Mediterranean style dish, here is the one. 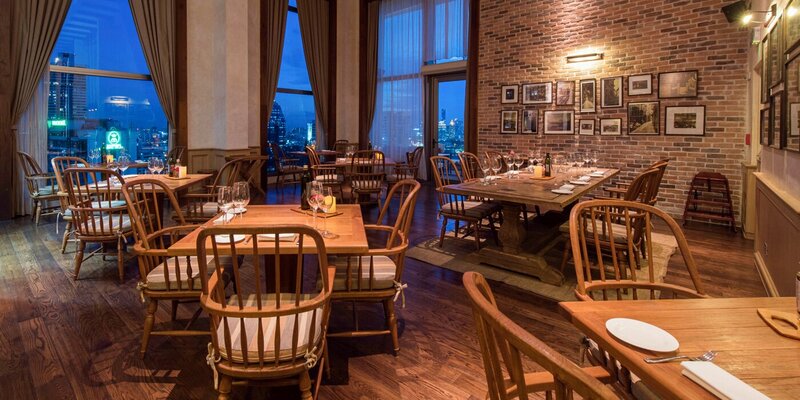 This menu offers a premium size imported mussels sauteed in white wine and lobster bisque. 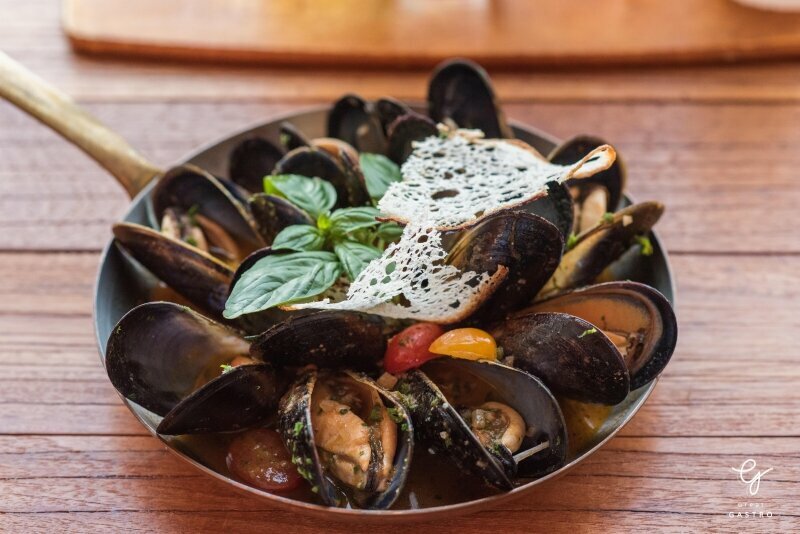 Cooking with white wine brings balance, fruit, and acidity to mussels while lobster bisque top up this dish with more sense of seafood. 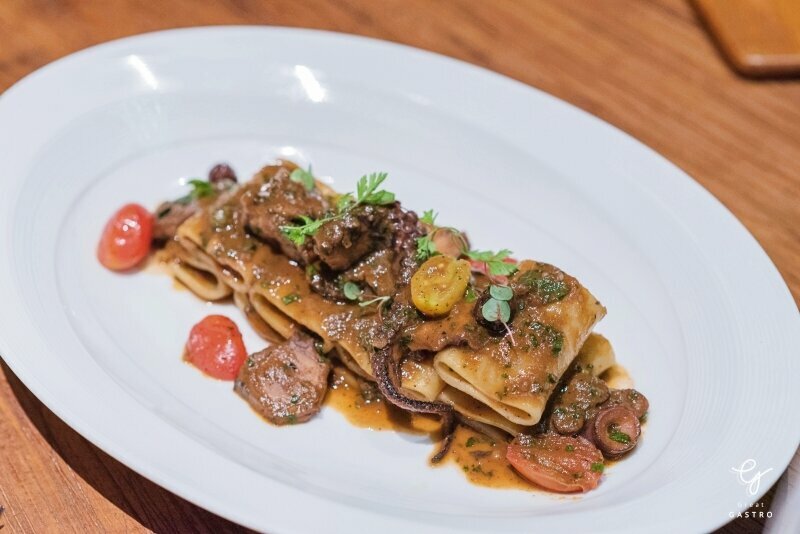 Make sure you don’t miss this classic Tuscan cooking, a homemade pappardelle with imported wild boar cooked in sour tomato based sauce. 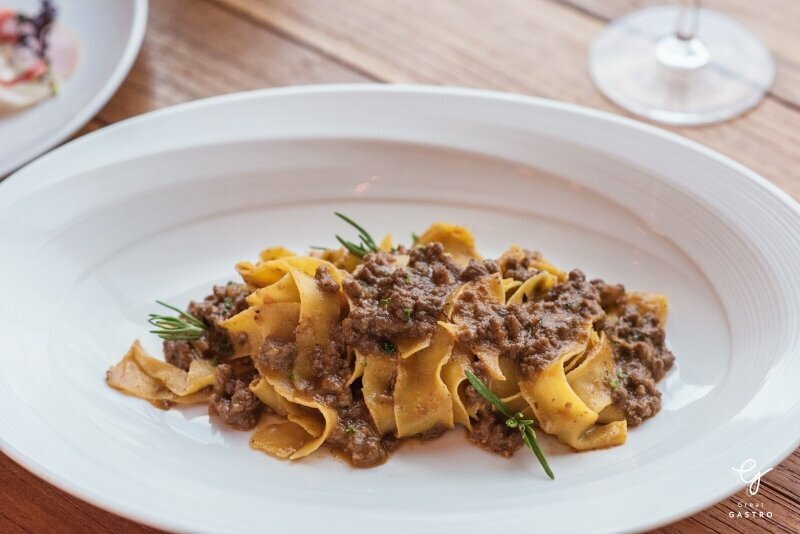 What should be highlighted here is a finest quality wild boar from Tuscany cooked perfectly with flat pasta. 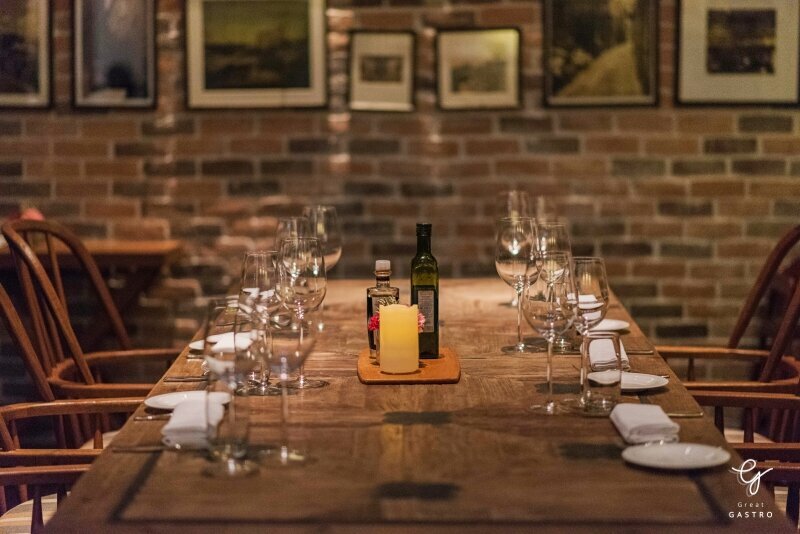 The best way to spend a night in Tuscan style. 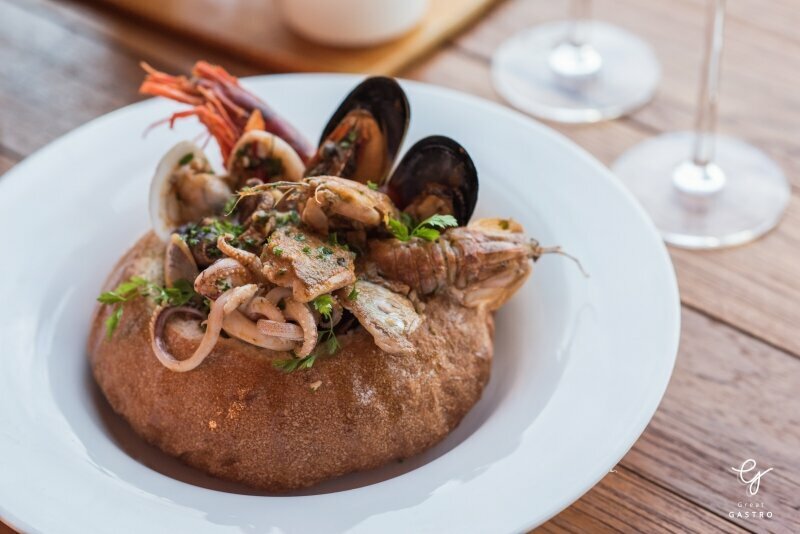 Let’s try another Tuscan home cooking, a daily selection of seafood sautéed with white wine to balance the taste, then topped up with Italian style classic spices: rosemary and garlic. 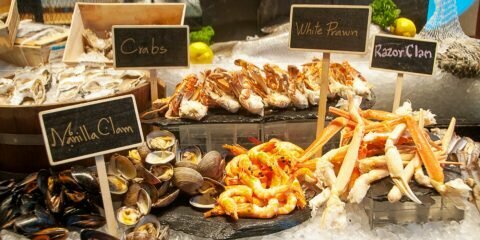 This good-looking set of seafood served with fresh baked crostini bread. A fresh catch from a sea yielded a naturally sweet taste enhanced by the all Italian classic ingredient. 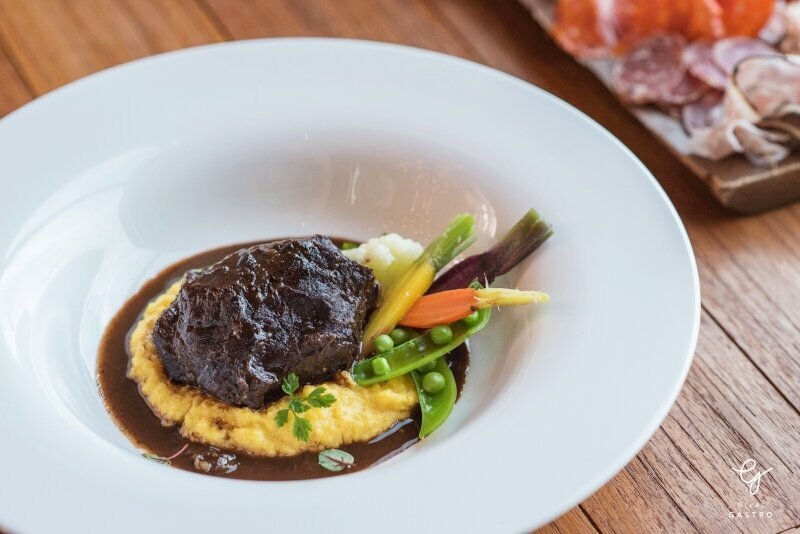 The restaurant present us a satisfying slow soft and tender cooked cheek. 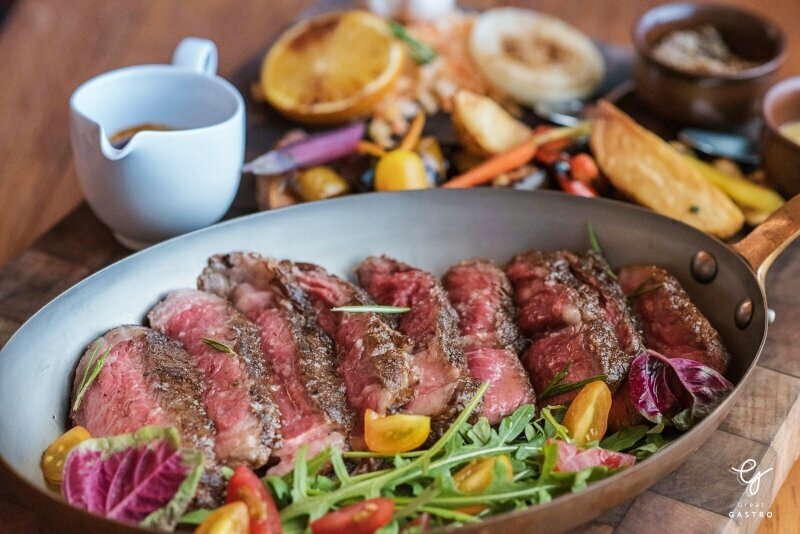 Served on an Italian style polenta, an Italian corn porridge, this melt-in-your-mouth steak has naturally sweet. Best match to fresh seasonal vegetables and truffle sauce. 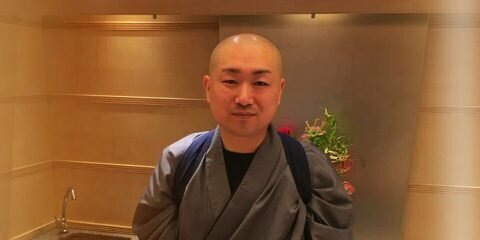 Wagyu beef is famous for high fat and quality. Guaranteed with the marble score 4 . 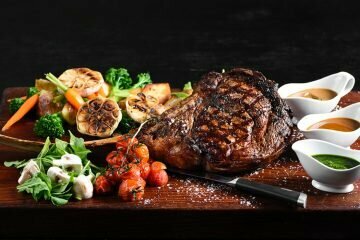 Sliced into thick pieces, This medium rare steak is rich in taste. While it’s crispy outside, there’s oil pulling out to soften the meat. It’s so good without sauce, but ,of course, a remarkable sweet and sour fruity sauce will drive its taste into another mood. 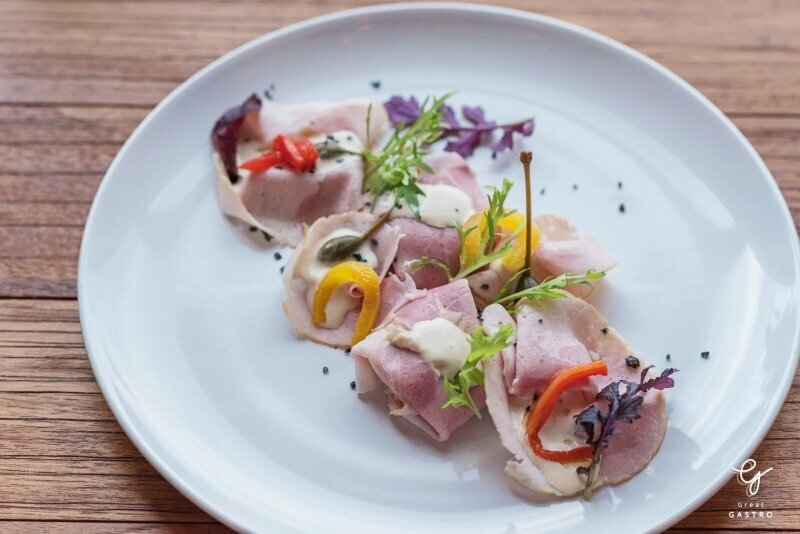 A pink cooked veal served with tuna and sour cream salad dressing. This menu shows a real taste of veal with a little salty from sea salt. The delicious veal, fresh from Italy, is definitely highlighted. If you love classic Caprese salad, you will definitely love this one! 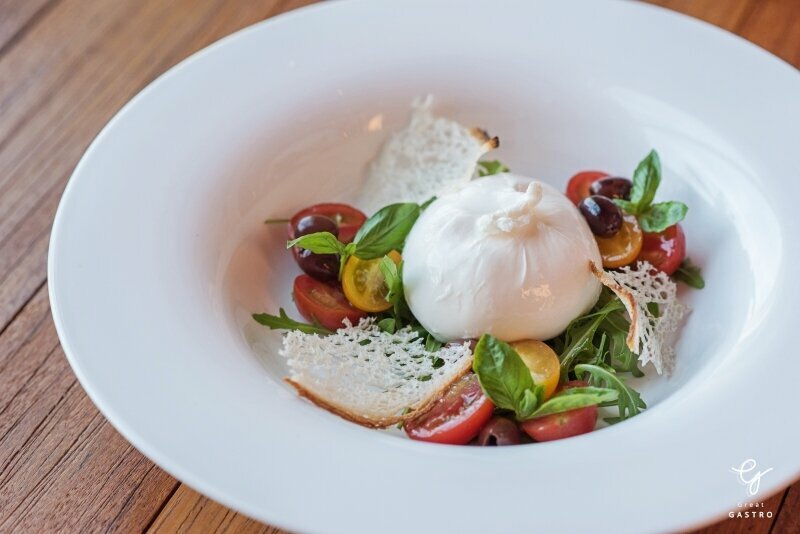 A fresh burrata cheese served with a sour side dish such as fresh cherry tomatoes and others. Served fresh within 3 days of producing, the flavor and different textures of the inside and outside make it go well with salad, then topped up with sour balsamic sauce and fresh basil. 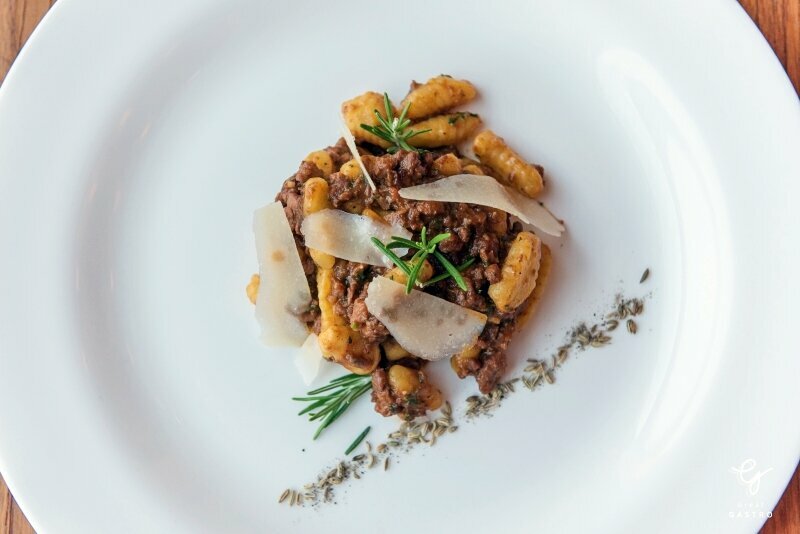 From a dozen choices of pasta, chef presents us a homemade pasta with Italian sausage and pecorino cheese in tomato based sauce. 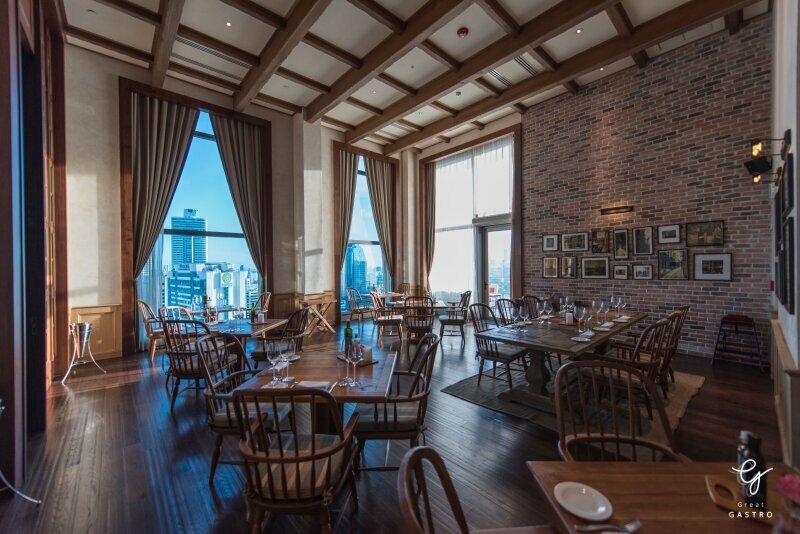 If you are looking for something authentic out of a massive menu, this one might suit you best. 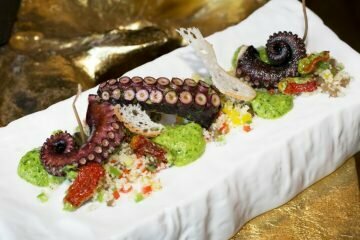 If you don’t mind going for another pasta, our chef would love you to try this homemade paccheri pasta served with giant octopus cooked in red wine for raising up the flavors, then topped up with classic Italian seasoning: tagglassche olives, oregano and Italian herbs, a classic blend of Mediterranean spices. 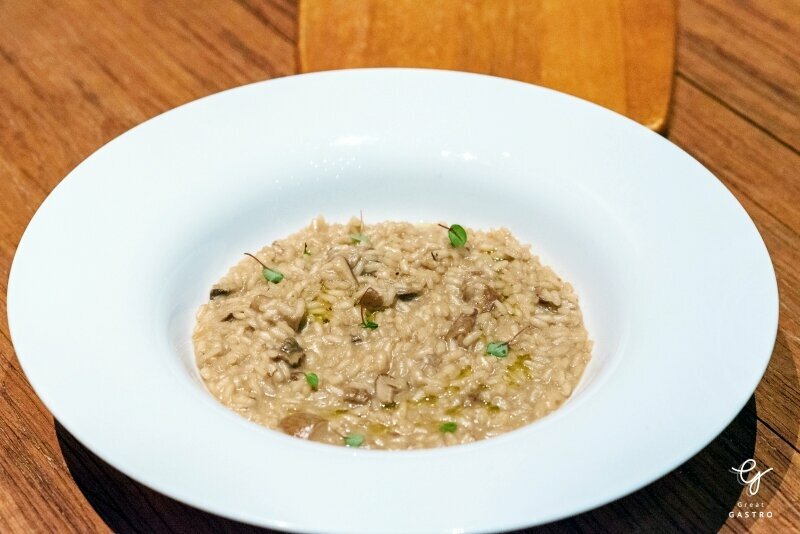 The last item of the night goes to a Creamy risotto with mushrooms. 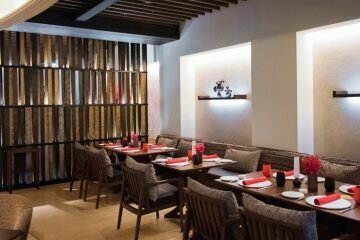 Embraced with a fresh and chewy wild mushrooms, the rice itself was already delicious even without them. The risotto is well balanced, perfect ending for tonight’s menu. 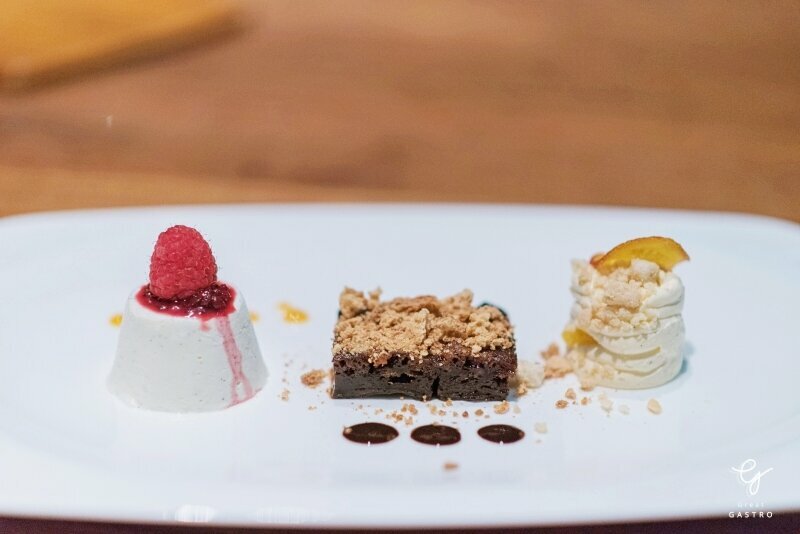 Sweet Italian treats are just what you need after dinner. Do not forget to order this Trio classic Italian sweet : an old fashioned dessert, a caramel custard bonnet, an all-time-famous creamy pannacotta on top with sour berry sauce and a fresh and fabulous cream cheese of mascarpone mousse. Trusted Italian dessert from Attico’s kitchen! 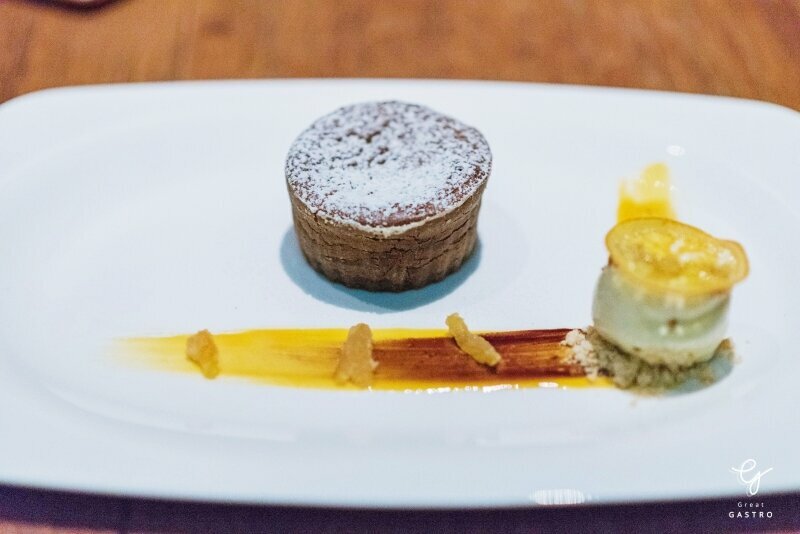 Try out one of the most popular desserts, a warm chocolate lava cake. When you cut into a tender round of cake and warm chocolate fudge flows out, perfect combination with cold vanilla ice cream. Try it and you will love it! The meal isn’t over until you have this lovely Tiramisu. 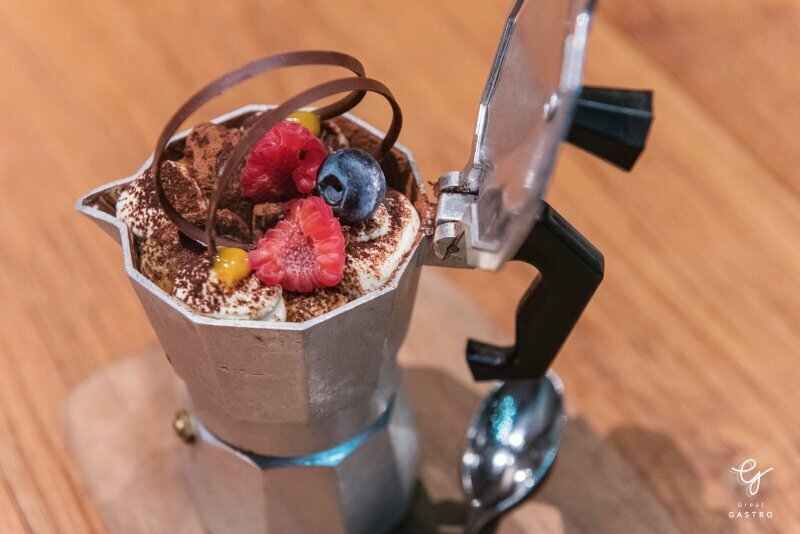 What makes Attico’s Tiramisu special than the others is a very strong flavors of coffee. The popular coffee-flavored Italian dessert will surely keep you awake with coffee and rich creamy layers. 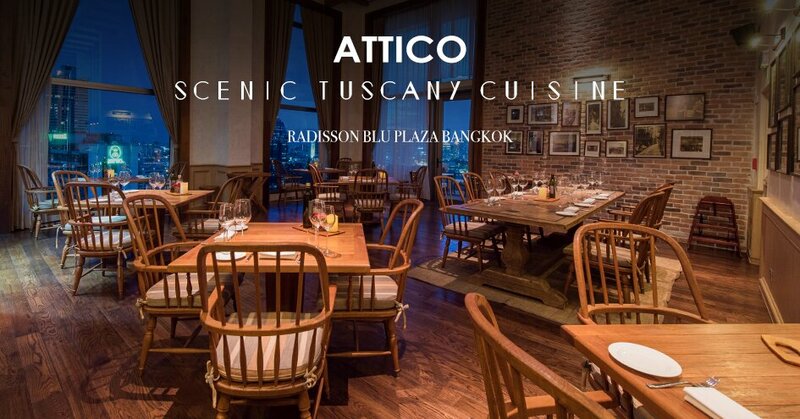 Attico is part of the new wave of Italian restaurants served up in Tuscany’s style in Bangkok. 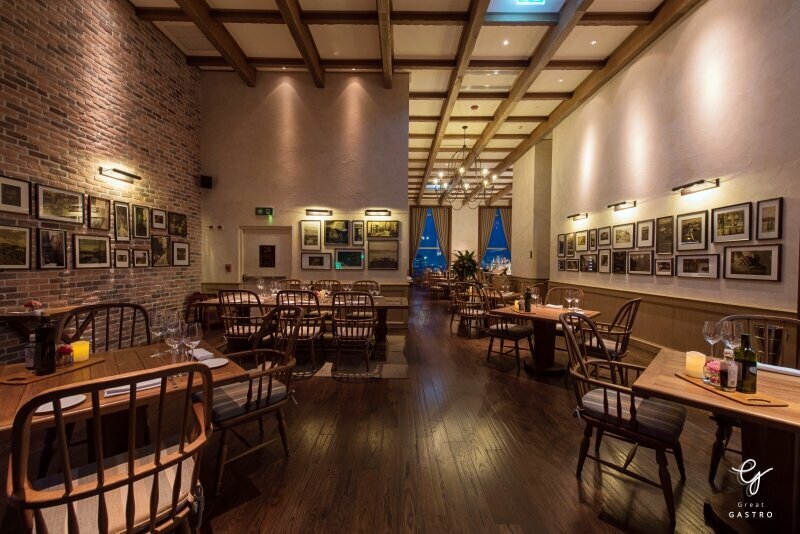 Everything is cooked by professional Italian chef with the best knowledge on traditional cooking- the result a rustic, modern take on Italian cuisine. 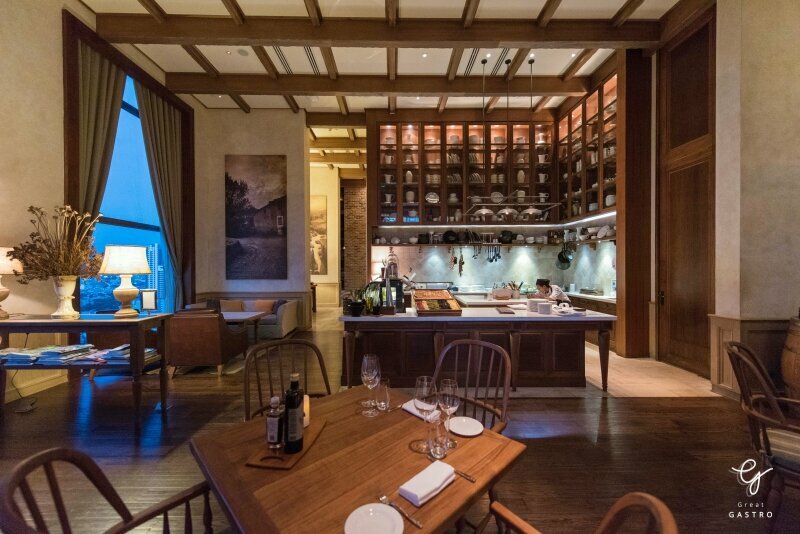 If you are a big fan of Tuscany, make sure you put Attico on the list of your wish! 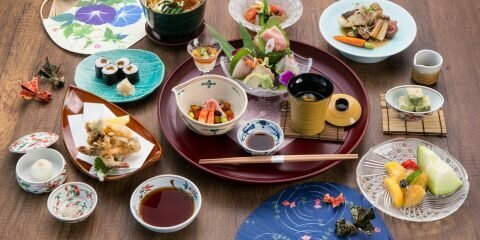 Dinner from 18:00 – 23:00 hrs.